Explorer Insurance Company is a part of the ICW Group (Insurance Companies of the West) and has been writing auto insurance since 1992. It offers personal auto insurance products through a network of independent agents and brokers. ICW also offers workers’ compensation for small and large businesses and earthquake insurance in several states. Explorer Insurance has corporate offices in Santa Clarita, CA and is licensed in 17 states but primarily targeted for residents of California and Florida. 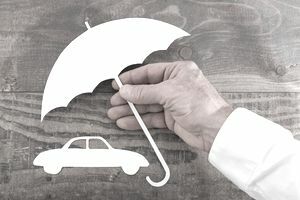 The company’s niche is non-standard auto insurance which provides insurance to high-risk drivers who might find it hard to obtain insurance with a standard carrier due to driving violations or speeding tickets. Explorer Insurance has an “A-“ Excellent rating from A.M. Best insurance rating organization with a financial size category of XI. Demotech (a consulting firm that provides financial stability ratings for property and casualty insurance companies) and Insurance Journal magazine also recognized Explorer Insurance Company as a “super-regional” insurance carrier. Super regional insurance carriers are those shown to be stable in the market and financially sound. Explorer Insurance does not have a rating from the Better Business Bureau. However, its parent company, ICW Group, has an "A+" rating from the Better Business Bureau although it does not have BBB accreditation. 24/7 Emergency Roadside Assistance Emergency roadside assistance services include towing, road service, emergency delivery of supplies, tire service, battery service, and lockout service. Several convenient payment options to choose from including recurring electronic payments. Free online automatic payment services—pay by credit card or check (EPay payment services are available for one-time or recurring payments.) You can also pay by check, Visa, or MasterCard. While Explorer Insurance Company’s website mentions discount programs, there are no details listed. To find out more about any auto insurance discounts you may qualify to receive, you would have to call the company directly at its toll-free customer service number, 800.849.4678. For a non-standard auto insurance carrier, Explorer Insurance has some of the bells and whistles that you find with larger national insurance carriers such as emergency roadside assistance, flexible payment options, glass repair deductible waiver, and online payment options, although claims reporting is still handling by telephone. To report a claim, policyholders may call toll-free, 877.849.4678, 24 hours a day, 7 days a week, 365 days a year. The company website reports claims adjusters have specialized expertise and there is in-house investigation staff to help combat fraud. Bilingual claims’ staff are also available. For residents of California and Florida who may have difficulty obtaining auto insurance from a standard market due to driving violations or speeding tickets, Explorer Insurance can provide you with state required auto insurance and also has some added perks to its auto insurance policy such as towing/rental reimbursement coverage, glass repair deductible waiver and 24/7 emergency roadside assistance. The company also has sound financial strength ratings. You can visit the Explorer website to learn about the company’s auto insurance products or to find an agent or broker in your area. To contact Explorer Insurance by telephone, call toll-free, 800.788.8984. You can also send an email through the Contact Us link on the company website.